Check out the new video from Slash for ‘You’re A Lie’ right here. 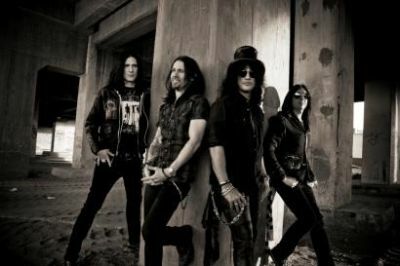 ‘Apocalyptic Love’ features Slash and his bandmates Myles Kennedy and The Conspirators – Myles Kennedy (vocals), Brent Fitz (drums) and Todd Kerns (bass)– and will be released May 21 (UK) on SLASH’s own label DikHayd International and distributed through Roadrunner Records in Europe, Middle East, and Africa. For more information visit the official Slash website.